I bought my 1997 Nissan Sentra GXE in January 2000. I have done all of the regularly scheduled maintenance, and it has given me 17 years of reliable service. It has never left me stranded. Now it is 20 years old, and I'm starting to have unscheduled repair costs. I'm deciding whether to keep repairing it or buy another car. I wish I could just clone it! I LOVE my car. It's perfect for me. RELIABLE, compact, easy to park, good gas mileage. I would like to repeat my experience: Buy a used car, 2-4 years young, do the regular maintenance on it, and drive it reliably until it's 20 years old. I would automatically buy a Sentra, but the newer ones appear to be a little bigger on the outside. I don't like that. So I'm also considering a Toyota Corolla, or maybe a Honda Civic, although the Civic seems to be more expensive for the same years and features. I'm looking for recommendations on which of the 2 is best for me. Or is there a third make and model that I should consider? I'm primarily looking at reliability and then price. One more thing...I've read that the Continually Variable Transmission on some Sentras is not good for city driving. Is that true? I mostly drive around my small city, not much on the highway. 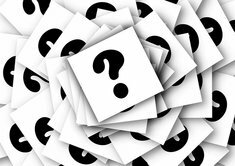 Should I avoid a CVT? You shouldn't necessarily avoid a CVT, but Nissan's CVTs are pretty bad (unreliable and unrefined). 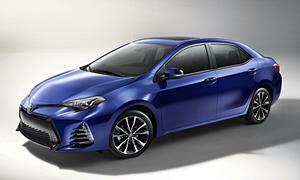 For Corollas, look only at the 2014s and newer. Don't get the L trim; get at least the LE, which is the best value. You get many nice features with the 2014 Corolla LE, such as auto climate control, a touchscreen radio with bluetooth, and a backup camera. I rented a 2015 Corolla LE Premium and it was pretty good, although the CVT can rev the engine pretty loud. It was a Top Safety Pick, but only got a marginal rating on the small overlap crash test. I like this car more than the 2012-2015 Civics, but not as much as the Mazda 3. 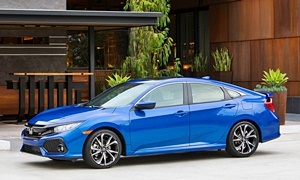 As for the Civics, Honda cheaped out on the 2012 model (it was horrible) and did a quick redesign for 2013 that made it a better. Look for a 2014 or 2015 Honda Civic. It's reliable, fuel-efficient, and relatively comfortable. 2013 had a traditional automatic and 2014 had a CVT, which for Honda, has been reliable to this day. The CVT is hated by car enthusiasts, but most consumers like it because it improves MPG a lot. If you don't care about MPGs that much, get a 2013 Civic. It you do, get a 2014 or 2015. It was also a top safety pick. Stay away from the new Nissan Sentras. They are so behind the Corollas and Civics I just mentioned. Reliability and owner satisfaction are at the bottom of the pack. The only thing it has going for it is a large backseat. It was NOT a top safety pick. It got a poor rating on the small overlap crash test. 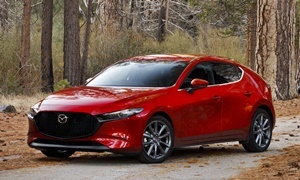 The one I would buy in this segment is the Mazda 3. It's fun to drive, more driver-engaging, and good-looking. Look at a 2014 or newer. Drawback include a lot of road noise and the interior can be a little cramped. The infotainment system is finicky, too. It was also a top safety pick. When driving it, it feels smaller than it is.